Fall Preview 2017: Where are the shows? 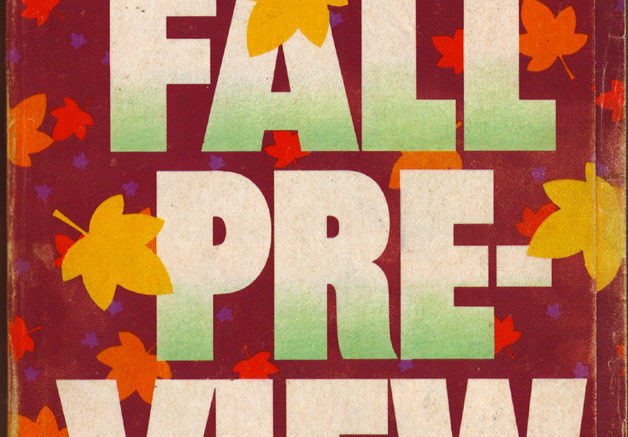 The fall preview guides written by myself and Jake Buckler were some of the best-read articles we wrote last year, so I thought it time, now that fall is around the corner, to get you up to date on the programs you’ll be forgetting by November 1. This is an odd year since it really seems like the broadcast networks are debuting far fewer programs than they did in years past. That’s not a bad thing, as it may allow terrible shows to grow into good ones or at least find an audience who likes terrible shows. Almost every single show debuting last year failed, so maybe this year we’ll see some shows grow and mature. I’m including only shows on broadcast networks with confirmed fall premiere dates. While some people would say that’s not fair, that I’m ignoring the great stuff on pay-tv, streaming, and premium channels, I want to make the point that if you’re truly cord-cutting and going antenna-only, there’s still a lot of stuff out there you may like. That said, the list’s pretty short. The Good Doctor: A kid is a doctor. I watched this show 20 years ago when they called it Doogie Howser, MD. Did we need it again? Marvel’s Inhumans: Disney tries to wring another buck from its purchase of Marvel. Anything else need to be said? The Mayor: A person of color runs for office and wins, then has to try to be a good leader. Not the most original plot, but perhaps this will fill the “inspiring leadership happens unexpectedly” slot for you if you don’t like Designated Survivor. Ten Days In The Valley: She’s a TV producer making a show about a missing kid. Then her kid goes missing. And you’re watching a show about it. Ever wonder if anyone’s watching a show about you? 9JKL: Broadcast TV has been trying to make Mark Feuerstein “happen” for about two decades now. Like “fetch,” he’s never going to. This cookie-cutter sitcom looks like another stale-joke-fest. Me, Myself and I: This sitcom needs to learn about the Oxford comma, but otherwise looks like an interesting idea. Three actors play one person at three times in his life. Might give this a try. S.W.A.T. : CBS’s viewership might just be old enough to remember the 1970s original, but to younger viewers it’s just another cop-adventure show. SEAL Team: An adventure show that takes place overseas. Kinda like the ones we have at home but probably more offensive to some people. Dynasty: Uh, yeah it’s the same thing as it was 30 years ago, hopefully with fewer shoulder pads. Valor: The CW doesn’t usually do first responder/military adventure shows but they’re doing this one. If you like that kind of show, you’ll probably like this. Ghosted: Seems like another remake of Ghostbusters, this time with Adam Scott and Craig Robinson. Still, given their talent level this one might be worth a try. The Gifted: Their kid is a mutant. And that’s about it. The Orville: Seth MacFarlane makes episodes of Star Trek: The Next Generation. If you like that description, you’ll like this show. The Brave: Another twist on a first-responder-adventure show, thist time on NBC. I’m not sure you need to know more. Law & Order True Crime: The Menendez Murders: I was not captivated by the real story, but if you were, try this out. Will and Grace: How sad is it that the show that’s getting the most buzz is a continuation of a show that ended 11 years ago, and the thing we’re most excited about is that it promises to be exactly the same? So what do you think? Do any of those shows light you up? I’m sure trailers are available online if you’re on the fence. Leave a comment below and let’s talk! Ku band? Ka band? What are these things?